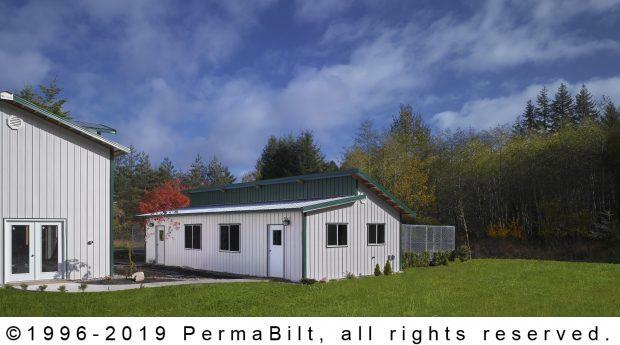 Concrete floor: 20’ x 42’ x 4” with fibermesh reinforcement and zip-strip crack-control with self-closing hinges, stainless steel lockset and 20”x24” windows. 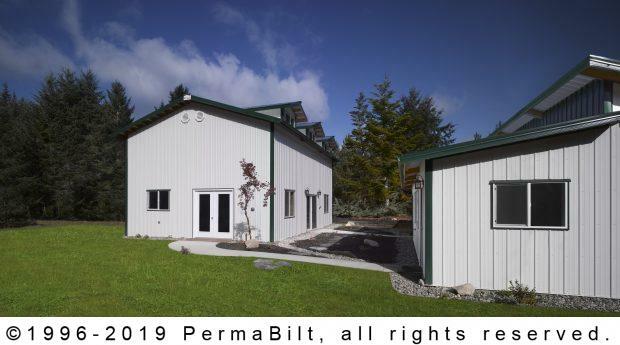 Quite often PermaBilt® is asked to not only construct a building but do two or three at the same time. For example, our Shelton Washington customer wanted multiple buildings for a wild cat sanctuary. The sanctuary is a non-profit organization dedicated to education, conservation support, and safe haven for displaced captive wild felines. We were pleased to be a part of it. The primary commercial style pole building’s unique feature were three 6 foot pitched dormers on the second floor to increase lighting and ventilation. 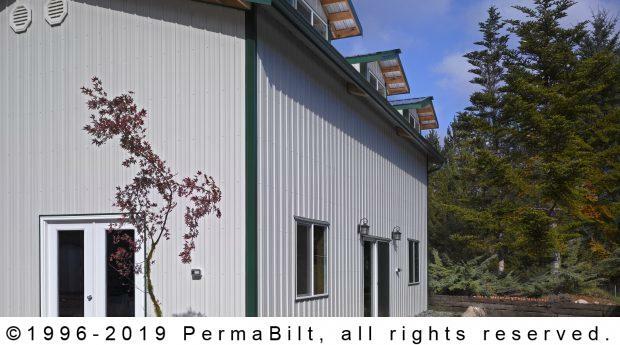 These pitched dormers that PermaBilt® installed were 6’ wide and included 5’x2’ vinyl sliding windows with overhangs. The building had a partial second floor (12’x28’) with a staircase for access, increasing the usable square footage to 1344 square feet. It also had a 96” x 80” sliding door for access on the main floor. This building was built in conjunction with 2 others on the same building site. For more details on the storage building, please see the following page. 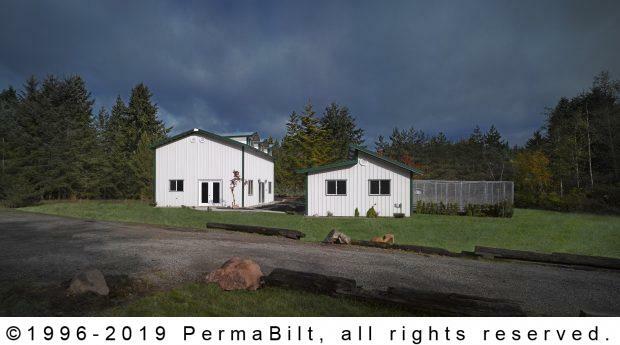 The project to build a storage building for the Wild Filed Advocacy Center was presented to us at the same time as 2 other buildings on the same property. Our Building Representative met with the customer on a couple of occasions to determine what their needs were. Once determined, we were able to contract 3 buildings at once and permit and build them at the same time. The benefit to building 3 buildings on one property at the same time is mostly in the permitting. Although each building required it’s own building permit, the site reviews only needed to be done once saving both time and money. The customer was very pleased with the end result and continues to do excellent work in the education, conservation and saving of wild cats in Washington.